Chimney repairs should be made upon detection of any Chimney defects, as it is a health and safety risk to not immediately repair any damage that may be causing a carbon monoxide leak. Flue gases, smoke and fumes need to be properly vented through your Chimney Flue. Chimneys require special care and require annual inspection and cleaning, especially as we enter the winter months, when heating appliances are in constant use. 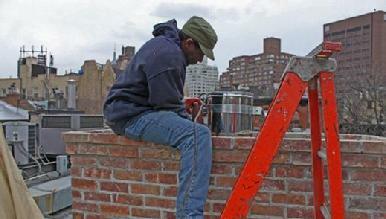 Chimney Maintenance and Repair in NYC falls under strict guidelines of the NYC Building Code. Big Apple Chimney’s Servicemen are fully qualified and experienced with NYC Code requirements and can Repair your Chimney with professional expertise and working knowledge. Make sure your Chimney is in proper working order and ready to handle a season of frequent or even non-stop activity. 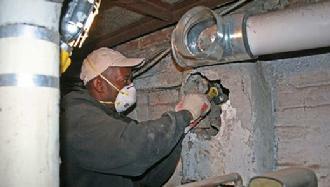 Call Big Apple Chimney at 212-785-9788 to ensure Safe and Healthy use of your heating equipment/fireplace and chimney. For a professional diagnosis and service of your Chimney and Fireplace needs, We are available 24 hours a day and can provide you with a Free Estimate of the work you require.